Who runs this page anyways? Earl’s: 100% a gem and hole-in-the-wall for the UES. Definitely avoid this place if you’re “on a diet” or don’t want to fall into an immediate food coma. For the unconcerned, read on. Why it’s worth it: If the world ended tomorrow, what would you want to stuff your face with? 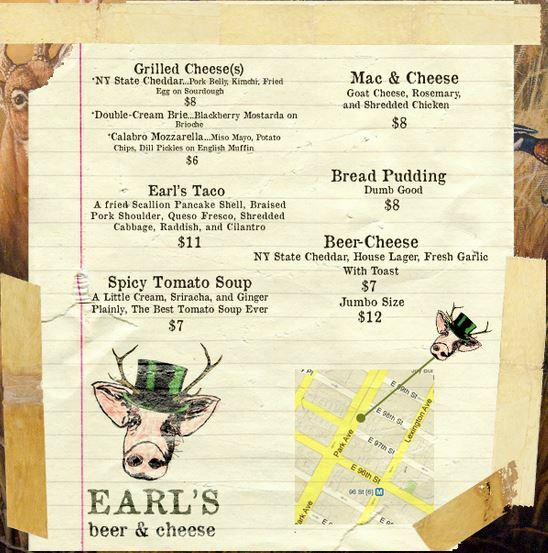 For Earl, it’s cheese and craft beer, or as Earl’s website puts it: “CHEESEBEEROCALYPSE”… also don’t forget to peek at the prices. Vibe: Rustic, cabin vibe with big taxidermy deer heads and some woodsy paintings hanging from the walls, but you don’t go here for the decorations, you go for the beer and the cheese! Layout: Small (seating only 12 or so customers), at a big communal table or at stools along the sides and front of the ‘straunt. Walk right in, order your food and drinks at the bar and secure a place to sit… it’s that simple. Trust me, it all works out. Ideal meal: Calabro-mozzarella grilled cheese on a Thomas’ English muffin, the New York State Cheddar, or the mac n cheese… sounds crazy, but it’s really crazy-genius. Menu is small and quirky, but you can tell that everything is exquisite and well thought out! F.Y.I. : Monday is Bangers and Beers night, with a menu that’s restricted to Hebrew National hot dogs slathered in meat sauce. 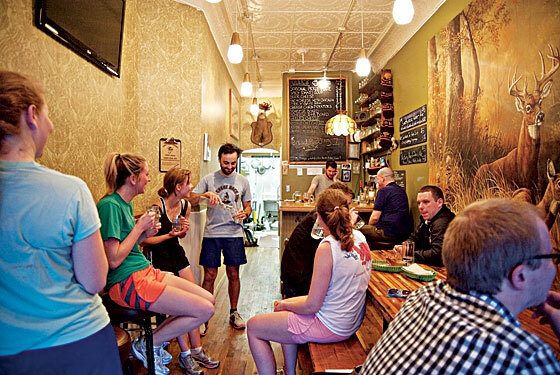 To prepare, you may want to consider joining the Bootleggers, an in-house running club that meets Mondays and Wednesdays. 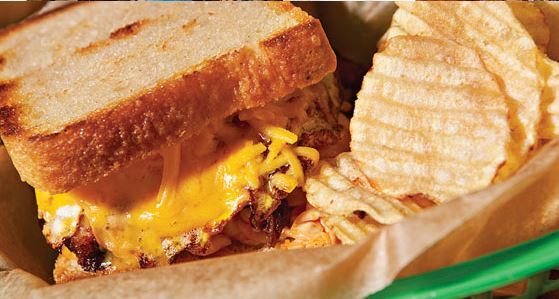 People behind Earl’s: The chef, Corey Cova, began his cooking career on a U.S. Navy submarine.